The best part of Black Friday and Cyber Monday expanding to become an entire deal-shopping season is that some of the best Black Friday deals are no longer limited to a single frenzied day of shopping. Black Friday is now a marathon, not a sprint! These are just a handful of the Black Friday deals you can still get online today. Don't sleep on these a second time – they're not going to last! 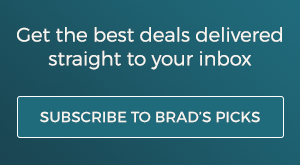 60 Days of Exclusive Deals at Brad's Deals! Every day through the end of December, we're sharing a brand new spectacular deals that we've negotiated exclusively for our readers! Check out our 60 Days of Deals collection for a little daily dose of Black Friday-like prices now through New Years. Come back after Black Friday 2019!